Taking a class, getting a certification, or pursuing an advanced degree to get that promotion can recharge any career, but the truth is many adults feel anxious over the decision to get back into the classroom. Reasons for back-to-school jitters include the impression of being too busy to juggle it all, the expense of school, and just plain being worried that the cost and effort won’t be worth the pay off. There’s a way to get over the hurdle though. How do we climb a mountain? By taking one step at a time. You don’t have to decide to go all in right off the bat — there are ways to get started and work toward the goal, one step at a time. Pursuing a certificate program is an excellent opportunity for individuals to learn new skills in preparation for a career change, strengthen existing skills, and sometimes meet the state or national licensing requirements for their industry. “Hearing from students, I have found one of the biggest ‘fears’ of returning to school is thinking it’s too big of a time commitment to take on,” says Kristy Gilmartin, director of strategic partnerships at City University of Seattle. Gilmartin points out that today’s students do not have the luxury of being a full-time student and having little to no other obligations. Instead, there are many factors influencing their decision to pursue an education. This includes family, work and much more. “Certificates are an approachable opportunity for someone to pursue a focused area of study and to complete the program sometimes in a year or less,” says Gilmartin. Additionally, credits earned for a certificate may also transfer to a degree, which allows students to use their certificate as a steppingstone to an advanced degree. All adults have bills to pay and often, families to help support. 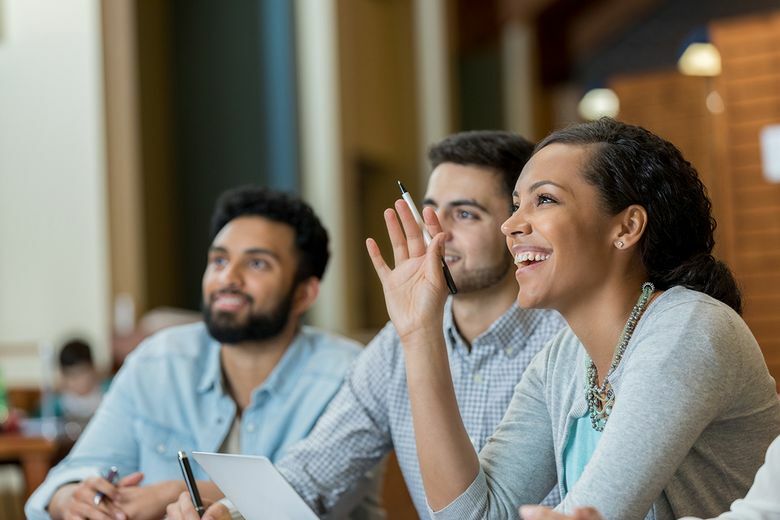 With these significant financial responsibilities, it’s easy to feel like pursuing higher education is a luxury that may not be worth the financial strain. However, what we often assume is the cost of higher education may actually be inflated, and options for financing for adults are numerous. For instance, many educational institutions partner with lenders to offer affordable rates for students who need to finance. There are also payment plans offered at many institutions for those who are unable to pay the full cost of tuition at once. U.S. veterans can benefit from the GI Bill, which covers the cost of education or training. If you are from a community that is underrepresented in a certain field, such as tech, there are social-impact programs that help people of color and those who are low-income finance their education. Additionally, a 2015 report by the Society for Human Resource Management showed that 52 percent of employers offer graduate-level benefits to employees. It’s natural to question if the time and financial cost of going back to school is even worth it. In Seattle, there is currently a skills shortage in areas of business management, leadership, computer networking, data science, social media, web development and more. Candidates well versed in these skills stand a better chance of landing that job. “Across the board, industries are evolving and changing to meet new demands in today’s economy. Certificates provide an immediate return on investment and open the door for professionals to grow their professional network and even prepare for a graduate degree,” says Gilmartin.